The Guest Services Supervisor supports the Assistant Manager and General Manager in day-to-day operations of the Marina including contracted and guest moorage, retail inventory and merchandising, fuel calls, and maintenance of physical plant and grounds. This position is also responsible for the day-to-day supervision of the marina attendants. The ideal candidate will have a post-secondary education focusing on business, management or project management, 1-2 year’s previous experience working in a marina or commercial building complex providing outstanding customer service, knowledge of boats and boating, a valid Pleasure Craft Operator’s Certificate, and experience supervising a diversified team in a positive manner. As well as the opportunity to work in a marina setting with an amazing group of people, we offer our employees discounts at other Oak Bay Marine Group properties; learning and development opportunities; employee recognition programs; employee benefits program; and, a referral bonus program. North Saanich Marina is one of southern Vancouver Island’s favourite home ports for sailing and boating in Canada’s Gulf Islands, the US San Juan Islands and beyond. The marina is set in protected Shoal Harbour in Sidney, BC, 20 minutes from Victoria, and has ample free parking available in several large parking lots right beside the docks. 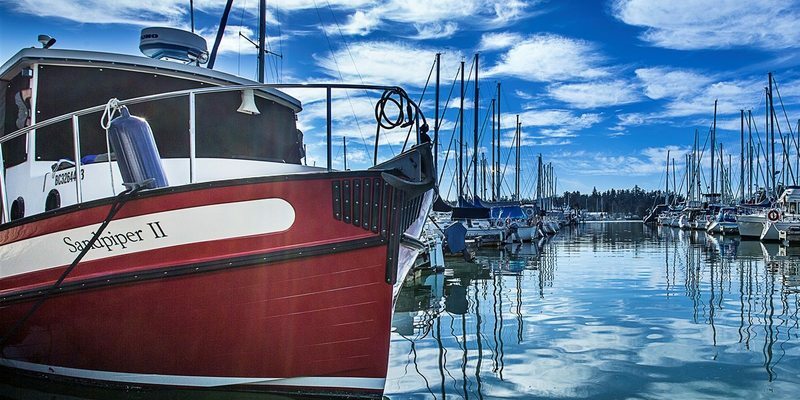 Annual moorage customers enjoy access to all four Oak Bay Marine Group marinas. Qualified applicants are encouraged to send their resume and cover letter to careers@obmg.com. Supervise a team of Marina Attendants, including scheduling and work assignments. Provide exceptional ‘Yes I Can’ service and demonstrates a professional attitude at all times. Communicate effectively with all team members. Greet moorage customers and guests as they enter and make them feel welcome, assisting with vessel docking and processing nightly moorage fees. Balancing and reconciling cash sheets. Maximizing moorage by managing transient moorage and keeping waiting lists up-to-date. Create and maintain an environment of exceptional customer service. Ensure that the needs of customers are dealt with in a friendly, professional manner at all times by all staff. Ensure that the marina’s physical plant and fixed assets are carefully maintained, cared for, and secured when necessary. Ensure the maintenance of the Marina, and surrounding area is up to OBMG standards, creating an exceptional guest environment and a safe environment for crew. Set the pace and lead by working shoulder to shoulder with crew and management to assist in serving guests for optimal guest experience. Ensuring washrooms are cleaned on a twice daily basis. Assisting the maintenance and cleaning crews as requested. Work in a cost efficient and safe manner at all times. Support the S.T.A.R.S. Core Values. Create and maintain a positive environment in support of the ‘Yes I Can’ philosophy. Operate and maintain equipment to standard while treating company property with care and respect. Attend and participate in any regularly scheduled staff meetings. Participating in quarterly inventory counts. Post-secondary education focusing on business, management, or project management. Knowledge of boats and boating. Pleasure Craft Operator’s Certificate (PCOC) required. Aware of environmental issues as they pertain to boating and marina operations. Working knowledge of Microsoft Office Suite of Products. Emergency First Aid and C.P.R.. Experience working in a marina or commercial building complex. Experience providing exceptional customer service. Recent experience supervising a team of diversified crew members in a positive manner. Customer Focus: implies a desire to identify and serve customers. It means focusing one’s efforts on discovering and meeting the needs of the customer. Service Excellence, “Yes I Can” attitude: Treating guests and crew with kindness and enthusiasm; exceeding expectations by anticipating guest’s needs; and resolving guest’s problems, never saying “no” without offering alternatives. Relationship Building: is working to build or maintain relationships, networks or contacts. Communicating Effectively: is the ability to ensure your message is clearly understood, regardless of the audience. Personal Effectiveness: is identifying the best use of your time and other resources at your disposal. Initiative: involves identifying a problem, obstacle or opportunity and taking appropriate action through proper pathways to address the problems or opportunities. Innovation: indicates an effort to improve performance by doing or promoting new things, such as introducing a previously unknown or untried solution or procedure to the specific area or organization. Team Player: is the ability to work co-operatively within diverse teams to achieve group or organizational goals. It includes the desire and ability to understand and respond effectively to other people from diverse backgrounds with diverse views. Business Perspective: indicates the ability to understand the business implication of decisions. Results Focus: Focuses efforts on achieving quality results consistent with the OBMG current and future business strategies. Improving Operations: ability and motivation to apply one’s knowledge and past experience for improving upon current modes of operation within the North Saanich Marina. Leadership: has the desire to lead others, including diverse teams. Sets direction and operates in keeping with an understanding of the industry, political climate, market dynamics and business priorities of the company. Empowerment: ability to share responsibility with individuals and groups so that they have a deep sense of commitment and ownership. Ability to work outside in a variety of weather conditions. Ability to lift up to 50 pounds, carry and bend.